Product prices and availability are accurate as of 2019-04-08 04:06:35 EDT and are subject to change. Any price and availability information displayed on http://www.amazon.com/ at the time of purchase will apply to the purchase of this product. 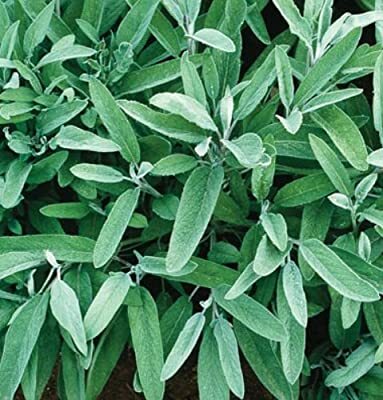 Dusty, green leaves are used in dressing, sauces, salted herbs, sausage, and tea. Make a good base for dried floral wreaths. Also known as garden sage. • Edible Flowers: Edible, lovely, small lavender flowers appear in early summer with a mild and sage-like flavor. Flower spikes can be battered and fried, cooked in rice, egg, or cheese dishes, or used to garnish salads and pizza.